This is cute. 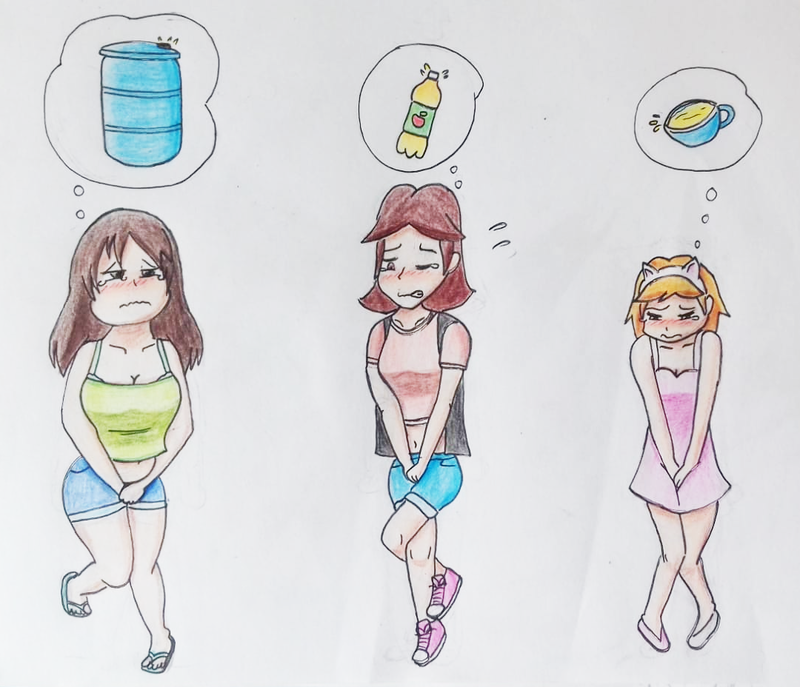 The idea of the smaller girl having a smaller bladder and the bigger girls having bigger bladders but they are all as desperate as each other as they are all full. Love it!! !